Enjoy your favorite music with convenient Analog and Digital connectivity that lets you maximize your audio experience no matter the source: smartphone, portable audio player, PC or even other analog devices. 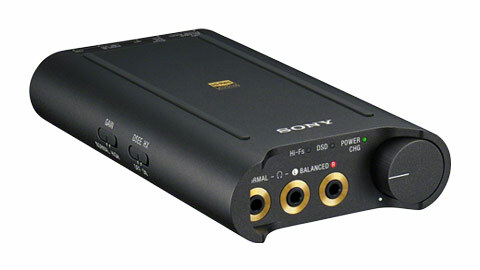 The internal battery delivers up to 5 hours battery life while the internal DAC can decode PCM audio up to 384 kHz/32-bit and DSD files at 2.8/5.6MH, while dedicated high fidelity circuitry ensures bit-perfect playback. The PHA-3 portable headphone amplifier delivers a high-resolution audio experience through your headphones. 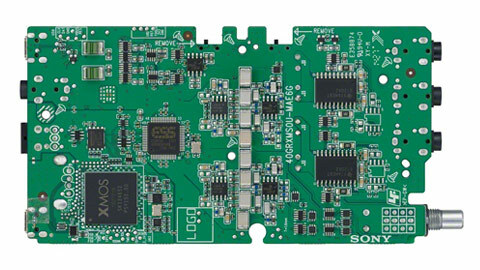 The PHA-3 can comprehensively decode PCM audio sources up to 384 kHz/32-bit in addition to DSD audio sources at 2.8 MHz / 5.6 MHz formats. With flexible connectivity the PHA-3 is much more than just a headphone amplifier. 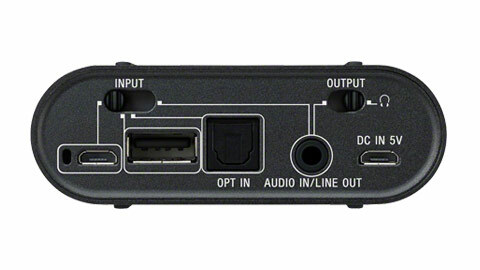 While the analog input provides easy plug-play connectivity with most MP3 players, smartphones and other audio devices, digital (USB) inputs including an optical terminal let you maximize your audio experience and take advantage of high-resolution files stored on compatible: PCs, digital music players, Smartphones and the like. 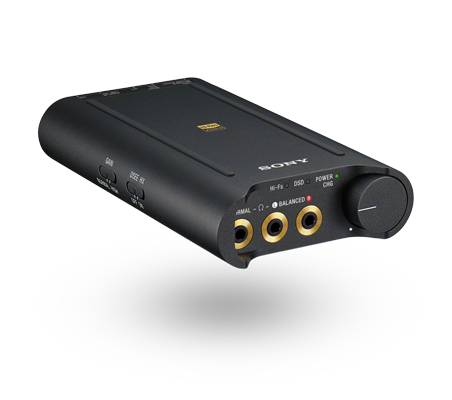 Perfect for interfacing with an external amp or active speakers, an analog audio output is available. As with a home stereo, you generally need to connect a pair of speakers, each one separately, to an amplifier. 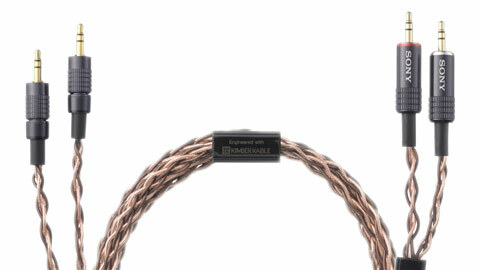 For the ultimate headphone experience, similar separated left and right channel audio connectivity can be used. Balanced audio output, results in an optimized listening experience and in the case of the PHA-3 renders optimal audio performance when using compatible headphones such as the MDR-Z7 or XBA-Z5 headphones. The PHA-3 features an asynchronous USB 2.0 clock that supports highly accurate DA conversions. 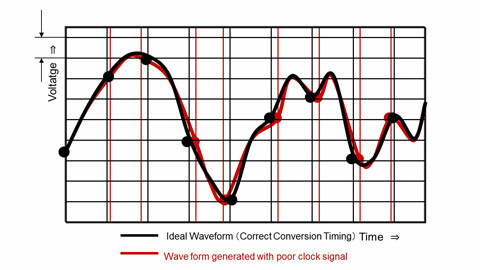 The precision clock signal generator reduces timing inaccuracies when converting digital signals into analog waveforms. This maintains sound stage integrity and audio response, resulting in superior audio performance with minimal noise and distortion. Not only can the PHA-3 decode PCM audio up to 384 kHz/32 bit & DSD audio at 2.8 / 5.6 MHz, but in partnership with the ES9018 DAC and high-bandwidth OPA2604 headphone amp, it can deliver outstanding signal/noise performance up to 130 dB of dynamic range that will breathe new life into your favorite tracks. Enjoy optimal audio performance with Sony-unique DSEE HX technology. DSEE-HX revitalizes high-frequency audio response while also up-scaling existing audio signals (MP3, AAC, ATRAC, and WMA) to high-resolution levels. An extruded aluminum enclosure fits nicely in-hand and also protects the delicate circuitry inside from outside interference and impacts, while integrated, front and rear alloy endcaps protect the terminals from hard knocks. Recessed controls also reduce the chance of accidental access during playback. Everything you need in the box: Digital cables for Walkman® and Xperia®1, micro-USB cable1, stereo mini cable1, silicone belt1, and Protection sheet. Battery Indicator: Yes: Lights up green when power is turned on, flashes to indicate battery level. See manual for details.